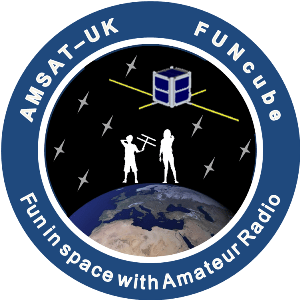 AMSAT-UK is working on a new amateur satellite project – The FUNcube Project– that features a 435 to 145 MHz Linear Transponder for SSB/CW operation. 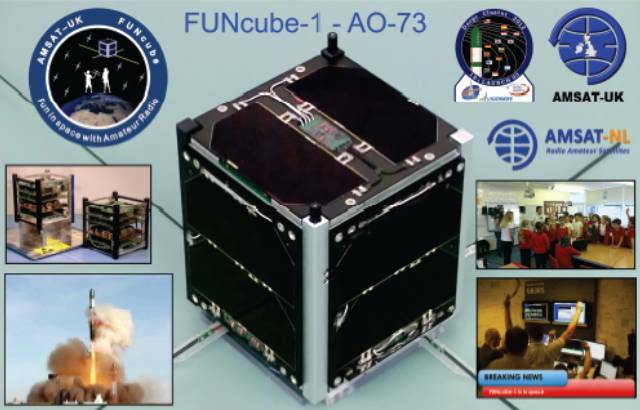 FUNcube-1 is a complete educational single CubeSat project with the goal of enthusing and educating young people about radio, space, physics and electronics. 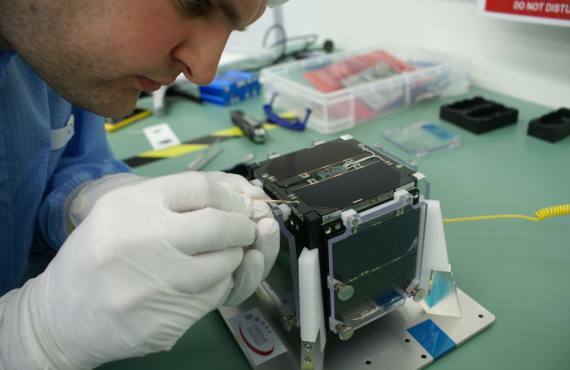 Perform a materials science experiment in space. 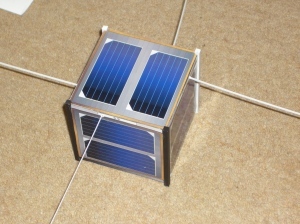 Provide for telemetry which is receivable by un-trained teachers and schoolchildren using a handheld receiver. Provide a message service similar to Text/Twitter messages. These messages to be uploadable by designated control stations, and to be transmitted. These messages to be known as “Fitter” messages. Provide a linear transponder which can be used by radio amateurs to make 2-way radio contacts using a modest equipment setup. 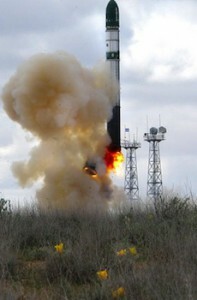 Satellite will be launched with a number of other spacecraft from a DNEPR rocket sometime in the third quarter of 2012. Launched and active. 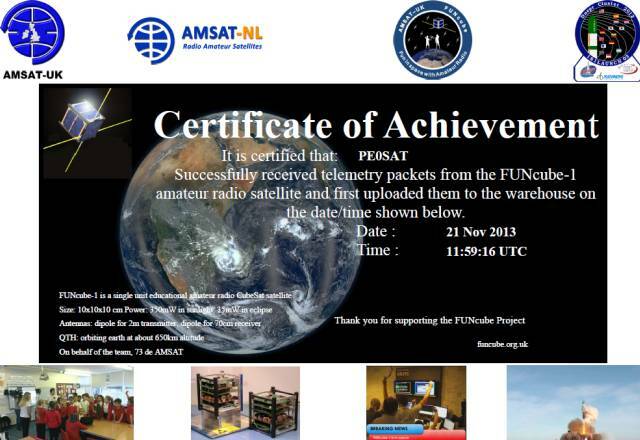 02-September-2013: AMSAT-UK and AMSAT-NL are delighted to be able to announce that they have been advised that the launch date for FUNcube-1 is now expected to be November 21, 2013. This date is still subject to final approval by the authorities.